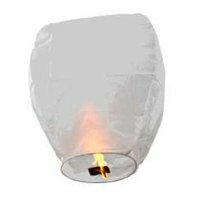 This is the original hand made Chinese Sky Lantern. This is Not a cheap copy, this is the original. The original Sky Lantern is the only lantern where the fuel source is already attached. 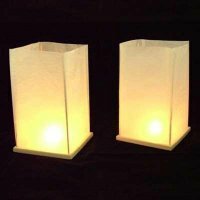 There is no assembly required, no plastic parts and is the only lantern that is both flame resistant and biodegradable. When choosing a lantern to sell on the U.S. market, we choose the absolute best. Safety is our utmost concern and not price. 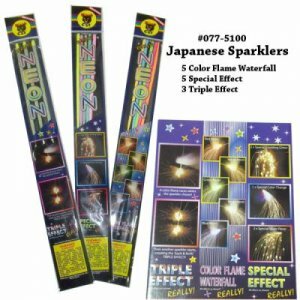 Because of the volume that we sell we are still able to give the absolute lowest price on the best product. 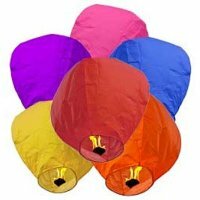 Our Lanterns are 15 inches diameter at the bottom, 22 inches diameter at the top, and 40 inches tall. All orders ship from the USA. 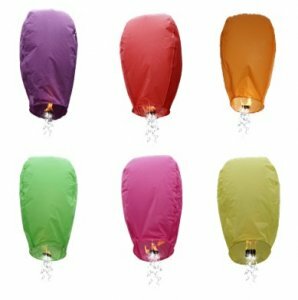 © 2010 - 2019 Wholesale Sky Lanterns. All rights reserved.